In one of those moments that seems quite accidental but surely isn't, I'm about to mirror the two great journeys of my grandfather's life. This morning I leave London for Toronto, as Joe and I begin documenting Ford's reinvention, spending time in Detroit in the process. A week today, after a return trip, I leave for two weeks in India. 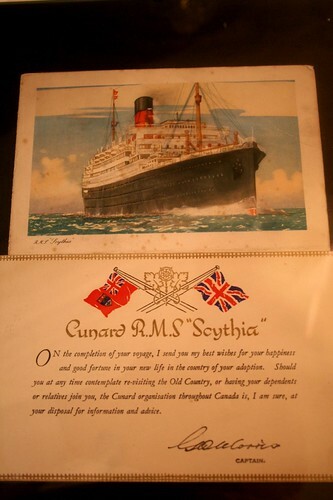 In the 1950s my grandad, George, travelled from Liverpool to Canada on the RMS Scythia. I've got his equivalent to the in-flight magazine framed in my dining room (which I snapped at 5am this morning). His plan was to get work there and then return for the family, at which point they'd emigrate to Canada. He got the job, with Canadian Pacific in Toronto and came back to fetch my grandmother and my dad, but they never did return. They liked Liverpool too much.